Good dental hygiene and gum health is the foundation of all healthy mouths. This blog outlines the top ten reasons to see your hygienist regularly. 1) To Prevent Gum Disease – Gum disease causes bleeding gums, painful gums, bad breath, and loose teeth. Gum disease can be treated, stopped and even reversed if caught in it’s early stages. Your Hygienist will not only treat and prevent gum disease, but will give you the control to prevent it yourself at home with a better oral hygiene regime. 2 ) To Prevent Bad Breath – Bad breath or Halitosis is usually caused by a dental problem. Fear of Halitosis is a very common reason for people seeking dental care. The odour can be released by bacteria from under the gumline, where only a dental professional can clean. 3) To Have A Whiter Smile – External stain that builds on your teeth cannot be removed by brushing alone. This stain is often the result of tea, coffee, tobacco, red wine or other dietary factors. Your hygienist has many way of removing these stains to restore your teeth to their natural whiteness. 4) Prevent Other Diseases – Poor dental hygiene has been linked to the development of several diseases including; heart disease, diabetes and respiratory problems. 5) To Prevent Oral Cancer – When you have a dental hygiene appointment, your hygienist is also screening you for oral cancer. Oral cancer is highly curable if detected early. Your hygienist will give you advice on risk factors for oral cancer and how to reduce them. Risk factors include smoking, alcohol and infection with Human Papilloma Virus (HPV). 6) Stop Bleeding Gums – Bleeding gums or seeing blood when you spit after brushing is a sign of gum inflammation. This can be an early sign of gum disease. If caught early by your hygienist, it is usually totally reversible. The bleeding is stopped by your hygienist thoroughly cleaning hard deposits off your teeth and around your gums, then showing you how to prevent it from building up in the future. 7) To Improve Self Esteem and Confidence – If your mouth feels clean, it makes you feel good. If you feel your teeth are whiter or less stained, it improves your confidence. The feeling of fresher breath makes us more comfortable talking (and kissing!) with people. Knowing that healthy gums can effect your general health also, can make you feel good about yourself. 8) To Detect Other Dental Problems – It may be that you are not seeing a dentist regularly, but want to have your teeth cleaned. Since Direct Access to hygienists was brought in last year, this is absolutely fine. However, your hygienist may be able to pick up on problems such as early decay, defective fillings or infections that you would have been otherwise unaware of. 9) To Keep Your Teeth – Gum disease is the number one cause for an adult patient loosing a tooth. When teeth become extremely loose in the later stages of gum disease, they can become painful or acutely infected. Often this leaves no other option, but to remove the tooth. Sometimes teeth can become so loose, that they fall out on their own. It is the hygienist’s number one mission to prevent this happening, by treating and preventing gum disease. 10) Cleaning Those Hard To Reach Spots – Some people have excellent oral hygiene. Whilst these people may not need to see a dental hygienist as often, it is still extremely important to see one, to keep their mouths in the health they have become used to. It doesn’t matter how much and how well you brush and floss, or how much money you have just spent on the latest electric toothbrush, their will still be parts of your mouth that you just won’t be able to clean as effectively as a hygienist. A hygienist has instruments with just about every shape imaginable and the training to know exactly where the hidden tartar and plaque will be. Since May 2013, it has been legal to see a dental hygienist without seeing a dentist first. At our clinic we have adopted this way of working, so you may see our hygienist without being a regular patient of the practice. 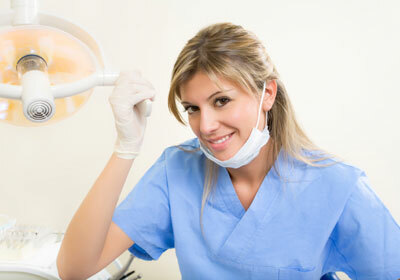 Some people have their own dentist close to their home, but use our hygienist as we are closer to their work. For more information, take a look through our website www.ancellsfarmdentalclinic.com or contact our award winning dental hygienist Nicola here.